Beautiful, family friendly, 1 bedroom condos, Most units have been recently updated with new flooring and appliances. All come with new flat screen TV's and most have Washer/Dryer in unit. 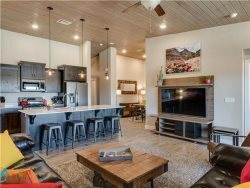 All units come with views to die for, whether the patio's/balconies overlook the Green Valley pools, or the mountains of Snow Canyon, you can rest assured you will be able to relax and enjoy your stay with us. All units come with access to Las Palmas and Green Valley pools and facilities. WiFi and cable TV included in all units.